Welcome to the Bree-land homesteads. The Bree-land Homestead is a peaceful place where nature reigns. 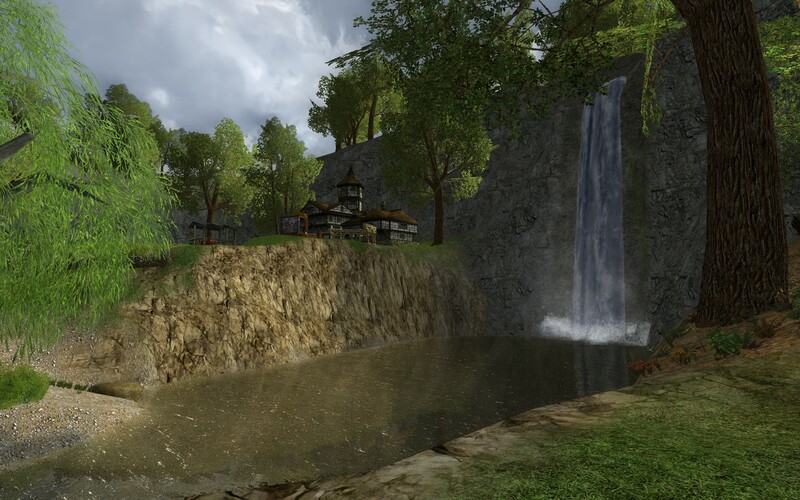 A river, a waterfall, a hill, and prime locations throughout. Not to mention quick access to the town of Bree. There will be something for everyone here. A quaint marketplace awaits you in the center of the neighborhood in front of the Town Hall. Here you will find Task Bulletin Boards, everything you need to keep your legendary items in top working condition, and also an outdoor theater. The Town Hall is open 24/7. Inside, members of the city council, the vault-keeper, and other suppliers are available should you require their services. The town of Bree has placed a milestone at the entrance of the Bree Homestead. The stable-master in South Bree also provides horses that travel there.